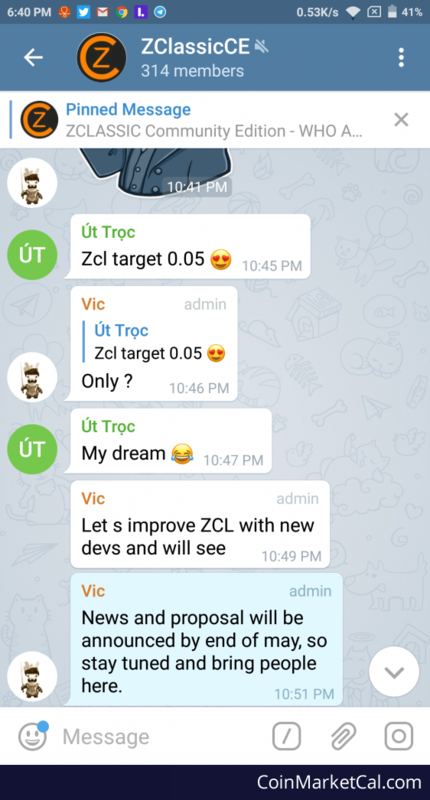 New ZCL announcement announced for end of May. 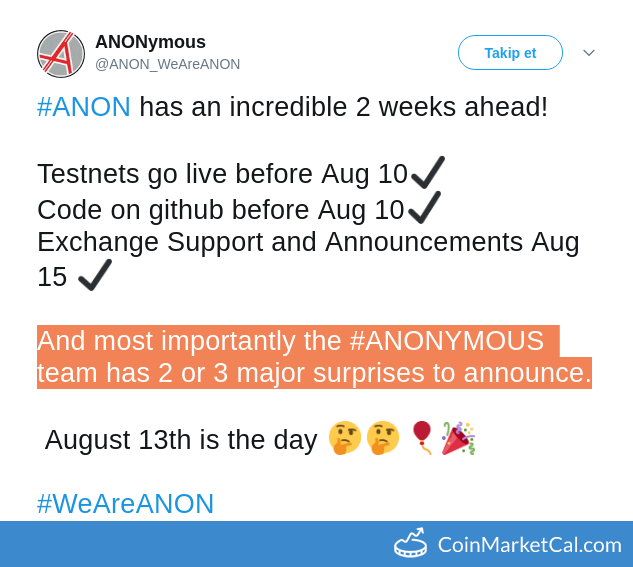 "...And wait 26th June for our first partnership and use case, ANON will be included even if the fork is planned for Sept 10th." 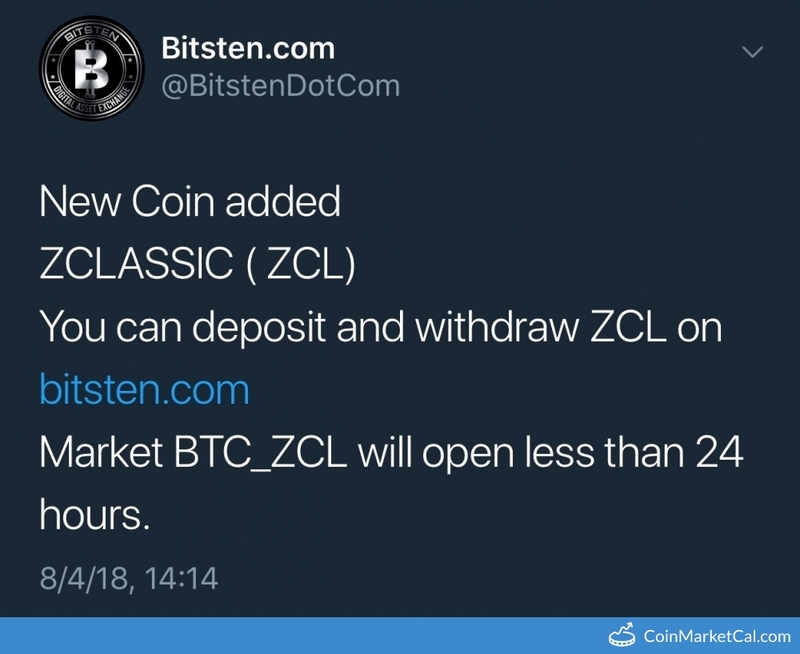 ZClassic got listed on Bitsten. 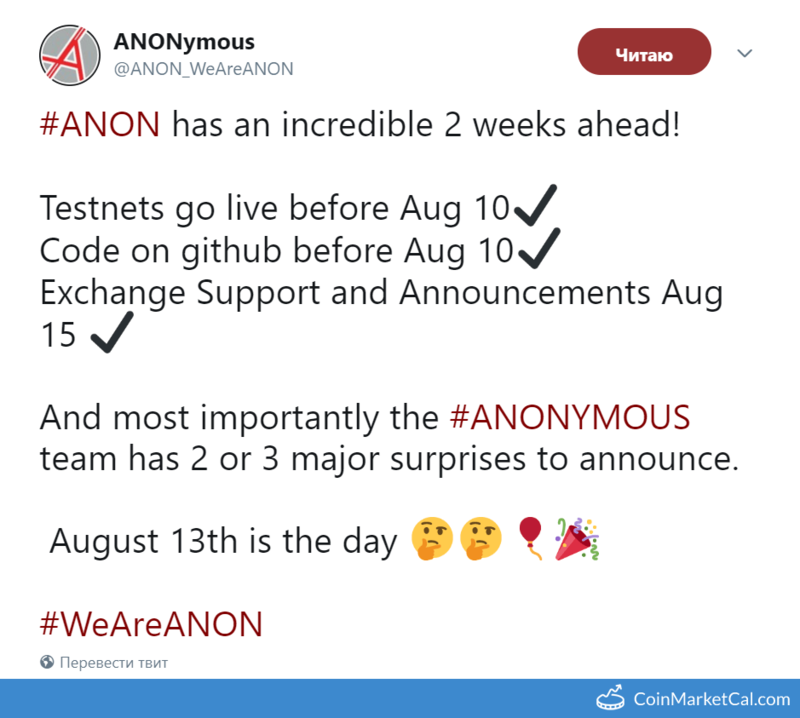 Zclassic/ANON bitcoin fork code will be released on Github on or before August 10th. 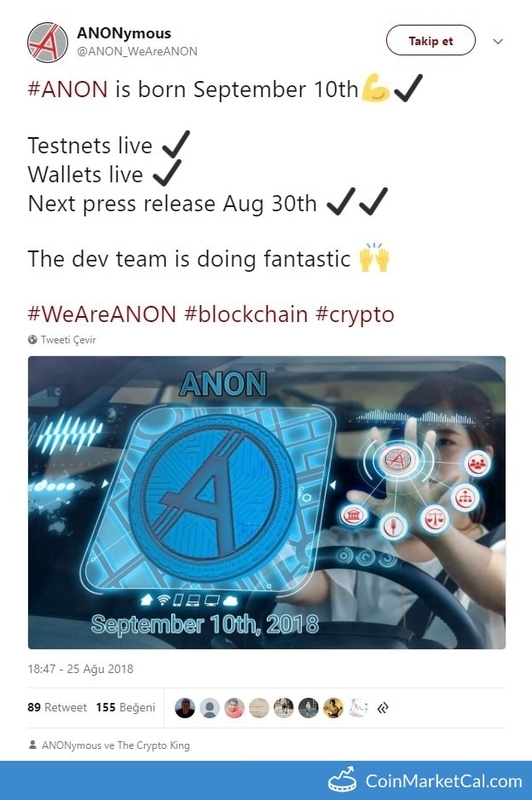 Testnet Launch of ANON Bitcoin on Zclassic / ANON fork launch will be on or before August 10th. 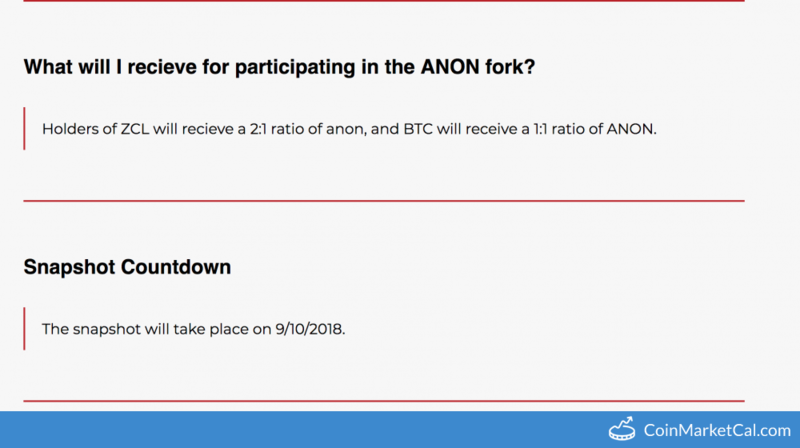 Fork 1:1 Zclassic/Bitcoin ANON exchange support and an announcement regarding listing. Snapshot will take place on September 10th, 2018.